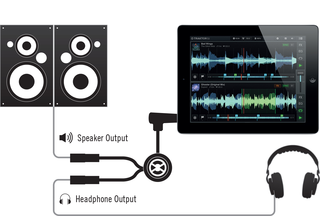 This mono splitter cable lets you use headphones and speakers with just a single audio output – perfect for iOS DJs. 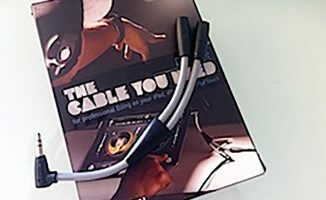 Native Instruments has ticked a box in its product range by launching a “DJ cable”, otherwise known as a mono splitter cable. 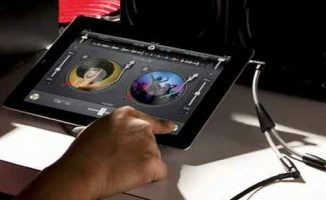 It gives DJs (especially those who’ve downloaded the company’s own Traktor DJ iOS software) an alternative to using a four-out sound card when DJing in situations where it may be undesirable to carry a “full” set-up with them. An old trick, this cable lets you use headphones for pre-cueing while still having a separate master output, without the need for additional hardware, and can be used with Traktor DJ on an iPhone/iPad, Traktor Pro 2 on a laptop, or indeed any DJ software that offers “mono split” or equivalent in its settings. You set the cable up by plugging it into your headphones output on your computer/iOS device and then plugging a pair of headphones into one of the cable’s sockets, and some powered speakers (for instance) into the other. 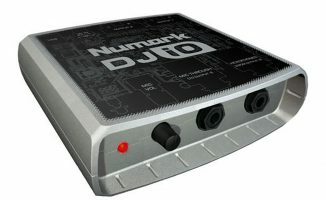 The Native Instruments take on this concept is pretty standard, having an 1/8″ stereo male jack on one end, and two 1/8″ stereo female jacks on the other. 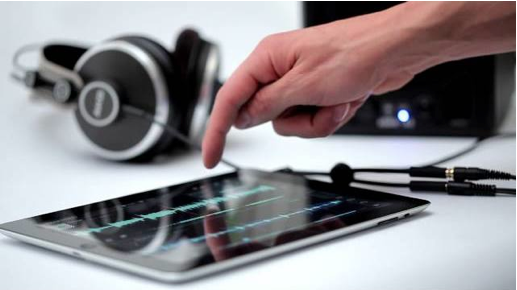 Here’s how you’d set it up with Traktor DJ. Tick the right box in the software’s settings and you’ve now got a decent approximation of a ‘full” DJ set-up. The “trick” with such cables is that the left-hand channel from the music feed is fed to both left and right stereo channels of one of those female jacks, and the right-hand channel to both left and right of the other – hence “mono splitter cable” – because it “splits” the incoming stereo signal into two. Therefore you can now plug in headphones and speakers and feed independent audio to each – with compatible DJ software, of course. The trade-off with DJing using such a cable is that you lose true stereo, and you’re relying on the quality of the sound card built in to your computer or iDevice. The plus point is you don’t need to have a controller or audio interface to do headphones cueing – just this tiny cable. Do you carry a mono splitter cable, either as a backup or to complete a portable DJ system? Let us know your experiences and thoughts in the comments! Your Questions: Why Won't My DJ Splitter Cable Work? I don’t understand why Native Instruments doesn’t repurpose their Audio2DJ cards with a 30 pin adapter. Any I-device could be both stereo and charged by the sound card at the same time… and it’s small enough to fit in a bag while being durable. This seems like a no-brainer, but it still doesn’t exist. Chances are, Apple won’t easily allow it. Using specific Apple connectors is something they just don’t allow very easily. If ever. So it’s not all the hardware manufacturers’ faults, they are being limited by Apple. Sweet, now my iPhone 5 can be my legit backup device! $20 for a splitter cable? Maybe if it’s high quality and built to last but audio splitters are readily available for $5 on eBay and department stores but are usually low quality. I still have a $5 10 year old splitter that works just fine to this day. Is it just a regular splitter? Correct me if I’m wrong, but I don’t think Traktor Pro lets you split cue. I didn’t think so either, but the promo material definitely mentions it. Johnny_d hit the nail on the head. The Traktor Pro definitely lets you split cue. I saw it in the promo material as well, so I knew it was possible. I wish NI would release everything at once. I like the upgrades and everything but it can get to be a bit too much at times. The griffin is less than half the price of the ni cable. Phil, can you compare the build quality of them ? We haven’t seen the NI one yet. Been using a splitter since before tractor for other programs, I bought them at radio shack. Samey-same. So unless you’re hot for a brand name stamp on it, go down to the local electronic doo-dad and bits store and get one for a max $10.00. I had to trim a bit of plastic on my ipad case to fit it, but it worked well, case on, plugged in. However, you risk the headphone jack getting knocked about, z1 is just way better, just for that reason alone. Definitely works in Traktor Pro. Just click on Preferences and set Output Monitor to R and Output Master to L or vice versa, depending on cable. Gives you the option to send each in Mono. Roll the Headphone Mix knob all the way to the left to hear Cue instead of Mix. Then, if you are just using a laptop sans controller, just click on the Headphone Cue buttons to hear the Cue. Without the cable audio is only sent to one side for Monitor and one for Master, with it you get a LR signal for each. sorry but this is way over my head. I got their promo mail the cable is on every DJ blog on the net. This is just a cable it’s not anywhere near the next big thing for all DJ to die for. Of course it’s not, but it’s the natural partner for Traktor DJ which is an undoubted phenomenon, and taken together they represent an awesome portable DJ system, just like the djay/Griffin partnership along similar lines. I got a feeling something big from NI is coming this month. What do you guys think will be next? Traktor will let you route headphone cue to any output and mono it if you woud like. When I use in-ear monitors with the Z1, I have the cue mono on my right ear and pgm in stereo. Works very well. I’m preparing for the Maschine-Traktor integration… Hopefully that happens. Barring that, the replacement for the S4 with 4 touch strips horizontal and vertical (or 4 x-y) pads :). After buying the griffin cable a while ago and returning it, i just cannot understand how anyone would consider this a viable option for playing in front of a crowd or even for bedroom djing. The sound quality is just unbearable. I went and got the Traktor Audio 2 MK2 because using an adapter like this is not usable, the volume and bass are cut drastically. Also, the iPad headphone output does not put out enough volume. I even tried editing some of the iPad files to more then double the sound output coming from the headphone jack (Apple purposes caps the sound level due to European and other countries headphone sound regulations), but still the sound output was very low. Keep in mind that using the internal soundcard also increases the latency. Increased from 9ish ms to 13 or 14 on my laptop when my S2 went down and I had to mix with software one night. My qestion is what kind of speakers/soundsystem are you using in your garden? I’m learning djing with tarktor for ipad. I bought a cheap splitter cable some weeks ago and the problem is that its plays the output only on one headphone and only on one loudspeker. I have no problem with mono output but i do have a problem with R or L loudspeker not working. Do you have this problem with trarktor cable or is just my crappy cable? Wrong splitter adapter, you need a stereo male to dual mono female adapter. 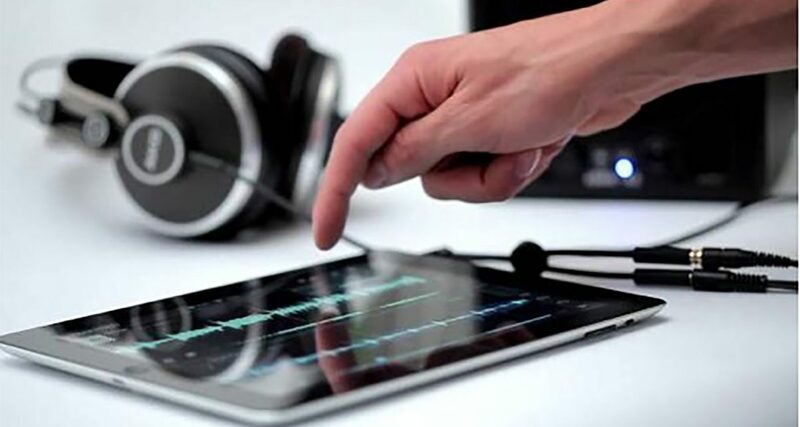 Are there any plans to update the software to be able to use the ipad headphones output for pre-cueing and a usb soundcard in combination with the camera connection kit for the master output? This is possible with djay from algoriddim so both headphones and master output are in stereo so why not with traktor dj? Correction: when I roll the Headphone Mix knob all the way to the left, I hear the Cue but I hear the other channel as well through the headphone. Also I can hear both channels through the speakers. I’m a beginner so anything that one reckons it’s obvious, might help me.